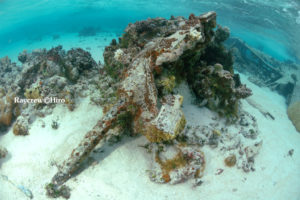 The Laura B-24 Crash site is the remains of an American B-24 Heavy Bomber that made an emergency landing on the shallow reef at Majuro Atoll between the end of Majuro Island, known as Laura, and the Rong Rong chain of islets to the north. The wreckage is in 6 to 12 feet of water on a sandy bottom approximately 1/2 mile south of Ajola Island. 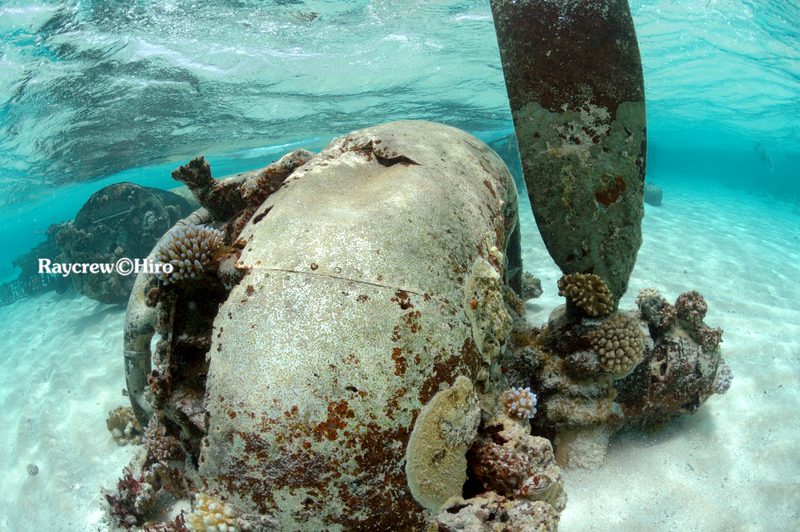 The shallow site has abundant reef life and excellent visibility, but is best visited at low tide to avoid heavy tidal current. 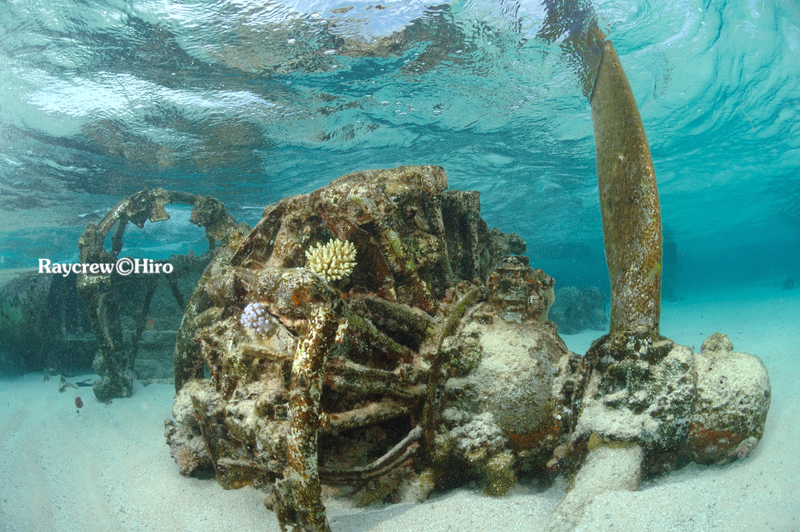 The bomber was part of a raid on Maloelap atoll on December 28, 1943, and was damaged, losing 2 engines and forcing it to make an emergency landing at Majuro Atoll. 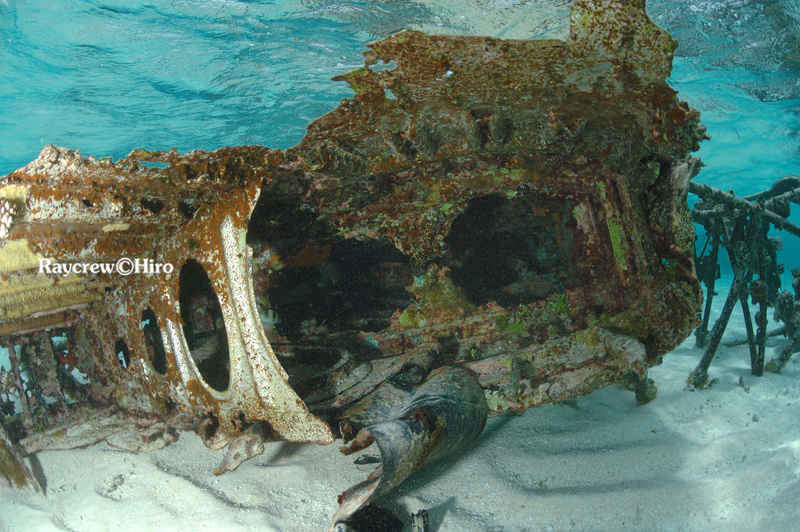 The crew, unfortunately, did not survive the war, and their final fate is unclear. It seems they hid out for over 10 days on one of the uninhabited small islands east of Rong Rong until surrendering. 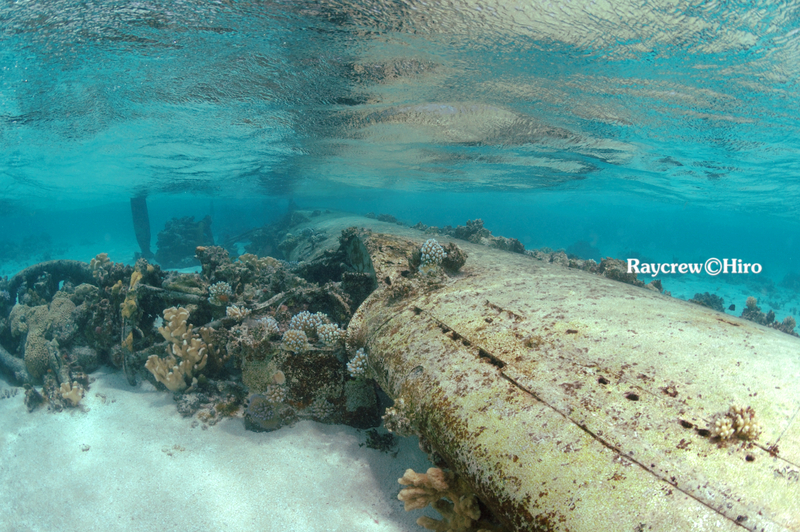 They were eventually taken to Maleolap, and possible to Kwajalein, but they were never positively seen again or their remains ever recovered. Please contact us if you want to go there, It takes approximately 1.5 hours by the boat from our location to there, And low tide is a target. We can offer you good timing and condition for your tour. A Belly Ball Turret Machine Guns are also still there but, please don’t touch or remove any part of the wrecks. The site, as are all WWII sites, is protected under Marshall Islands Historic Preservation Law. Help keep this site in great condition so others can see the history in place! If you planning to dive or snorkeling the site on your own (Individual), please apply for a dive permit at the Marshall Islands Historic Preservation Office (HPO). Don’t worry you go there if with Raycrew. 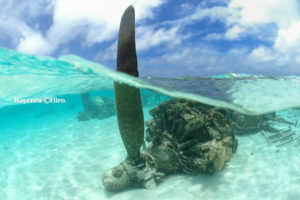 Please respect the site as history of WWII and as a diverse underwater ecosystem unique to the Marshall Islands! 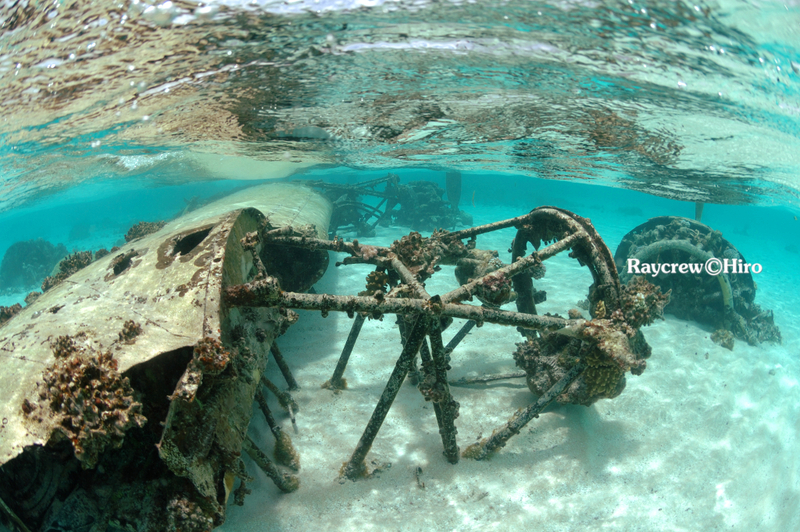 Come dive and snorkeling this unique WWII site with Raycrew!